An old wisdom says the first cut is the deepest and another says the first impression is crucial in encounters. The slogan "Land of Smiles" is already taken, but if there is a country in this world that truly deserves the title, it is definitely Myanmar. 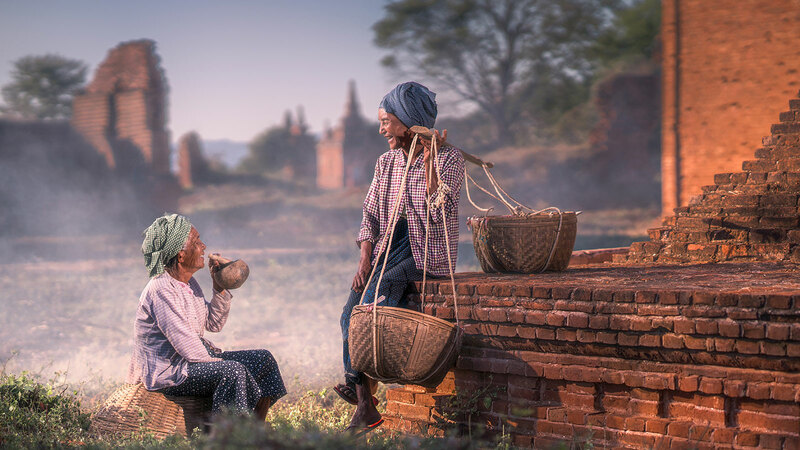 It is amazing what a single smile can do – that warm, uninhibited, ear-to-ear grin that can be found all over Myanmar. The people of the country, which is composed of a mosaic of 135 different ethnic groups, meets visitors with exceptional warmth and kindness. A hundred times a day one hears "Mingalaba" accompanied by a sincere smile. It is considered a blessing addressed to the soul of the person who is so greeted. The majority of the Burmese people are heartfelt, open, curious, helpful, devoted and sympathetic. Unlike in other parts of Asia, there is no barge or shove on the sidewalks, no one is jostling at the supermarket cashier, and whoever gives a stranger a smile on his stroll will receive an even brighter one from a delighted face in return. One will hardly find a grumpy official during passport control at the airport, taxi drivers do not try to milk your wallet despite missing taxi metres, and in hotels and restaurants extraordinary attentive and friendly service is the normality. It is no wonder Myanmar is one of the top ten travel destinations today.